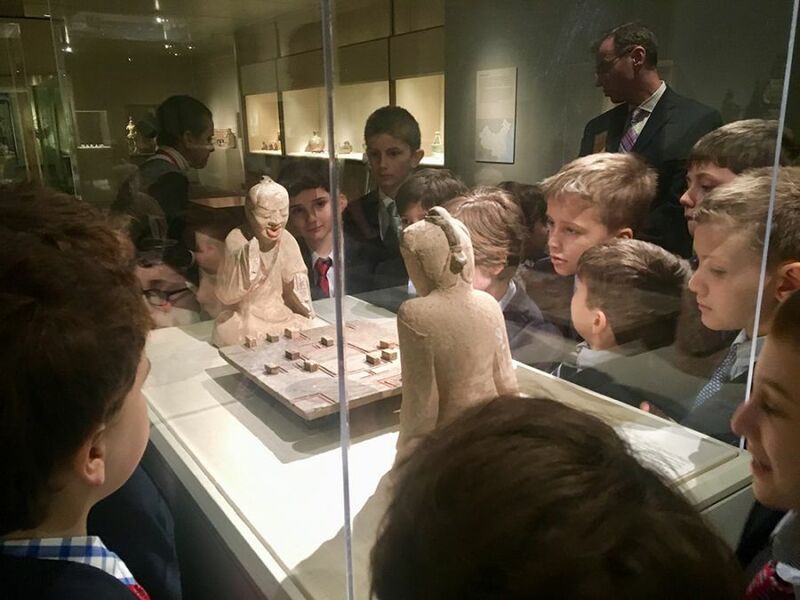 On a recent field trip to The Met, fourth graders examined bronze work and Mingqi burial objects that reflected the Confucian idea of filial piety, Buddhist murals, and sculptures depicting the path to enlightenment. They also saw architecture that highlighted the Daoist idea of yin and yang, the balance of opposites, in a scholar’s garden. The Fourth Grade history program is an indepth investigation into what makes a civilization, and involves the study of Ancient Egypt, China, and Greece.